Manufactured from the composting method using different worms such as white worms, red wigglers and earthworms, we are offering Vermicompost Fertilizer. Our Vermicompost Fertilizer is a heterogeneous mixture of vegetable or food waste, bedding material, and vermicast. 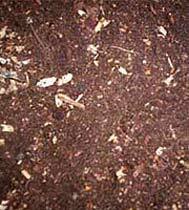 The naturally made Vermicompost Fertilizer is very effective for the plant growth. However, the pH, nutrient, and microbial content of our Vermicompost Fertilizer can vary. In order to raise the pH level, calcium carbonate and pulverized limestone can also be added to it.